The concept of safety during Diwali celebrations was well emphasised. Let us remember a few points once again, says Consultant Plastic Surgeon Dr.Manjushree Naik. Wear well-fitting cotton clothes while burstingcrackers[ keep the new pavadais and pattu sarees away]. Do not bend over flower-pots while lightingthem.-Keep the face turned slightly away. Do not allow children to handle firecrackers independently without supervision. Do not wear loosely hanging clothes. Secure all clothes properly. Do not bend over cracker while lightening it. Do not touch half-lit firecrackers. Do not throw lighted fireworks, as it may injure passer-by. Do not purchase old, spoiled firecrackers. Do not allow children to stuff crackers in their pockets. Do not encourage children to overplay with crackers. Never allow them to lit any firecracker in hand. Do not allow children to lit firecrackers inside the room or in porch or gallery. What to do if burns DO occur? Immerse the burned part in tepid water- preferably running water. Pat the burnt area dry and pad it [ not tightly] with soft clean cloth before going into the hospital. If the fire is engulfing the person, pour water toextinguish the flames. If water is not available throw a heavy bed sheet around the person or roll theperson within the carpet. Rememberto remove it once theflames are out-as the thick cloth will retain the heatwithin and deepen the thickness of burn injury. Lastly, DO NOT pour ink or Gentian Violet on a burntsurface. Turmeric powder is another favourite home remedy to be avoided. Superficial burns with less than twenty percent ofbody surface burnt can be treated on an outpatientbasis . But it requires treatment in the right hands. Remember- DO NOT NEGLECT BURNS. 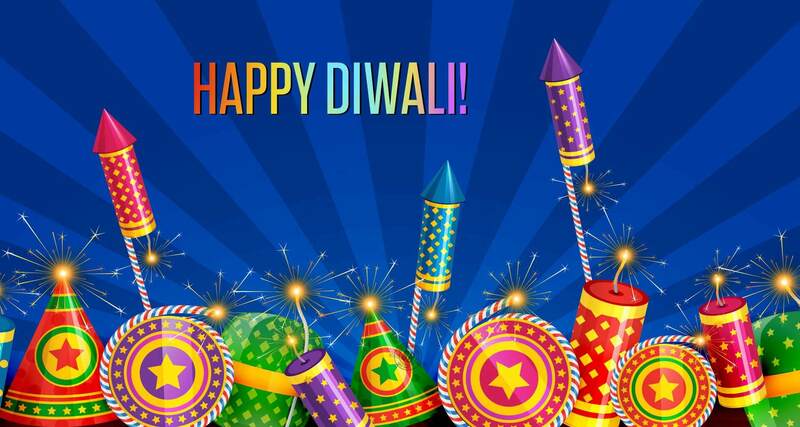 Wish you all a very Happy & Safe Deepavali!